Weren’t we just sitting on the patio in the late afternoon, relishing the sun and changing colors of the leaves? It was autumn, but sometimes – in the right light, with the sun on your face – it still felt like summer. I was lounging recently at the terrace bar at Luna just before the time change when it still stayed light out until, say, 6 p.m., celebrating the changing of the seasons and enjoying a little alone time. The weather was glorious. I didn’t need a coat. And I had the outdoor sofa and fire feature all to myself. 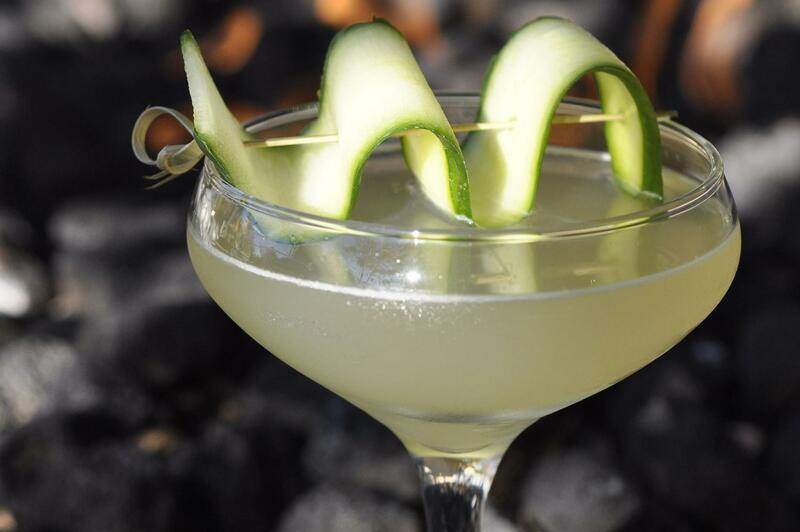 This tequila-based cucumber cocktail was summery and refreshing but dry, and it tasted like what I was experiencing in the moment: a fine transition to fall. There was a gentle hint of sweetness from the honey balanced by a bit of brightness from the lime. And now that it’s darker earlier, Luna’s take on the Pepino just might be the perfect elixir before we’re collectively ready to transition to winter’s toddies and nudges, whiskeys and warming drinks. Pair it with nachos or your next Taco Tuesday party and elevate the ambiance, perhaps? Muddle cucumber in a cocktail shaker. Add tequila, vermouth, honey, lime juice and ice. Shake vigorously with ice. Double strain into a chilled coup glass. Garnish with cucumber ribbon and serve. Published: Nov. 6, 2018, 5 p.m. Updated: Nov. 7, 2018, 11:51 a.m.